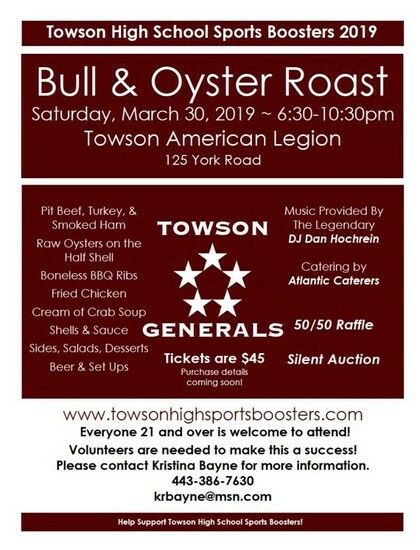 Our Towson High School Sports Boosters Bull Roast is three weeks away on Saturday, March 30th from 6:30-10:30. The bull roast will be held at the Towson American Legion and will feature delicious food and drinks, a 50/50 raffle, money wheel, wine wheel, silent auction and music! To purchase tickets please go to www.towsonhighsportsboosters.com. This event is sure to sell out, so get your tickets soon! 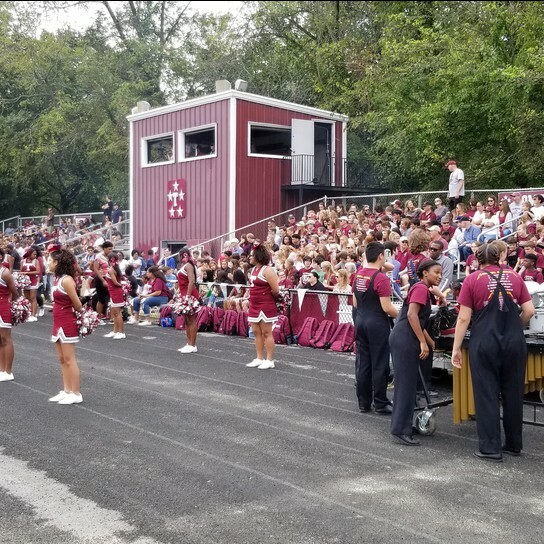 There is no better time than now to get involved and become a sports booster member at Towson High School. We need your help more than ever and we are inviting all parents and family members to get involved and sign-up today. If you’re not already a member, please go online to http://towsonhighsportsboosters.com/page-1603707 and become one. If you are a member, we thank you for all of your support and dedication to the Towson High’s athletic program. Your generous membership donation facilitates the purchase of new uniforms, equipment, awards, and improved facilities. We want our student athlete to have a first class high school experience and your help will be essential in order for my vision of Towson High Athletics to become a reality. Let’s work together and continue to build on our solid foundation. Let the Spectators be Positive! 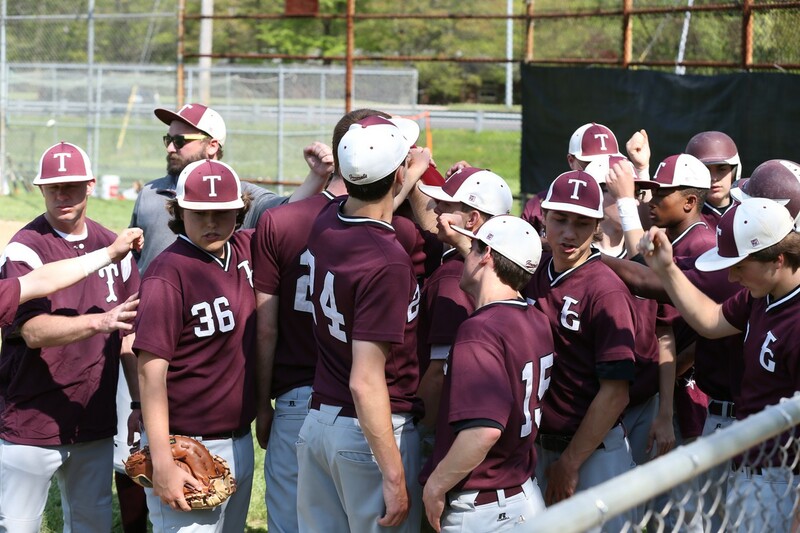 The Spring sports season is underway and we will have our first set of games in the next couple weeks. 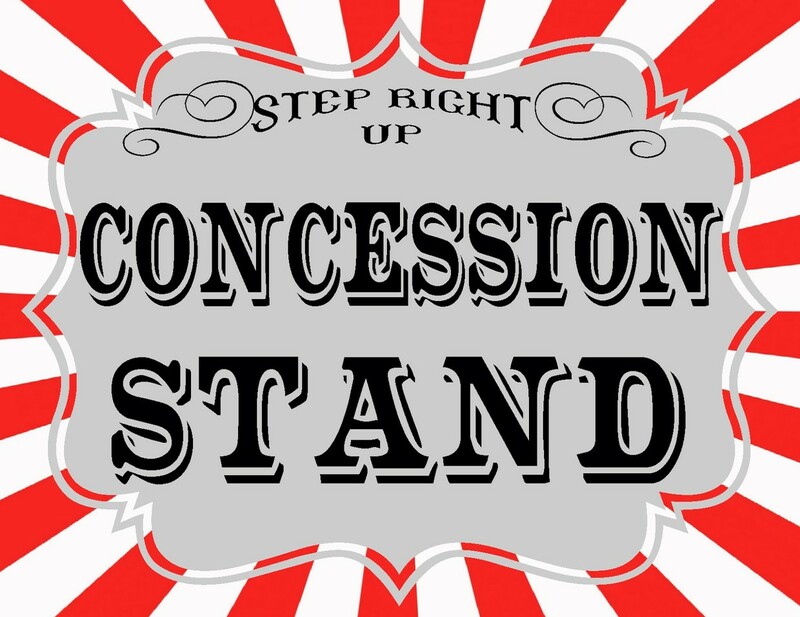 We need volunteers to help run the concession stand. Please consider signing up to work a shift this spring. Thank you for the consideration and look forward seeing you down at the stadium. 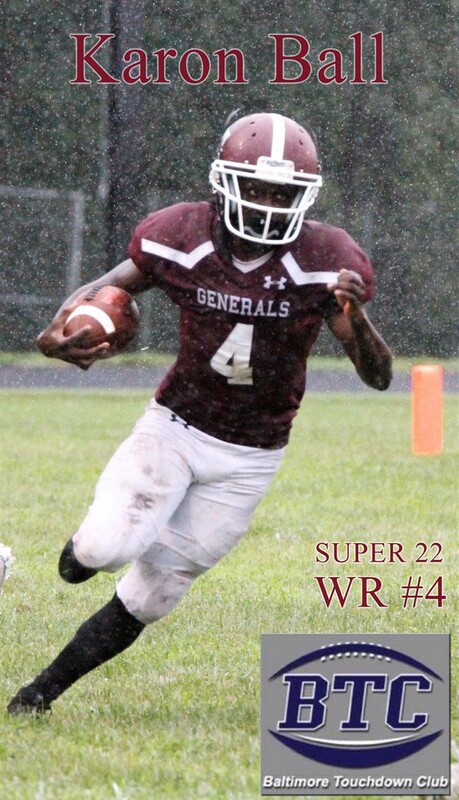 Go Generals! 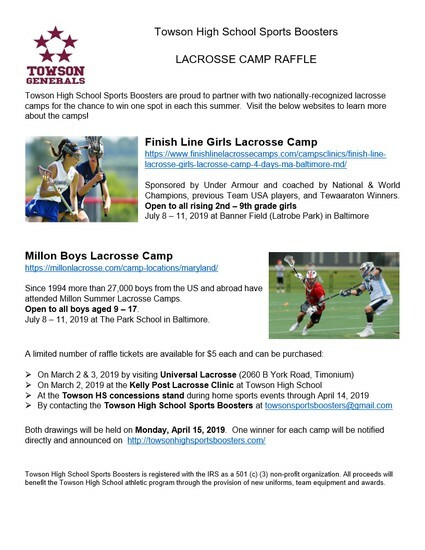 Checks can be made out to Towson High School and given to the Athletic Director. If you purchase a pass, please email the AD (Justin Nash) at jnash3@bcps.org with the pass holder names. Email Coach Shawn Tormey if you're interested in playing/attending. Big Win at Woodlawn at the buzzer! Big win on Senior Night! Towson's wrestling team had a solid year. 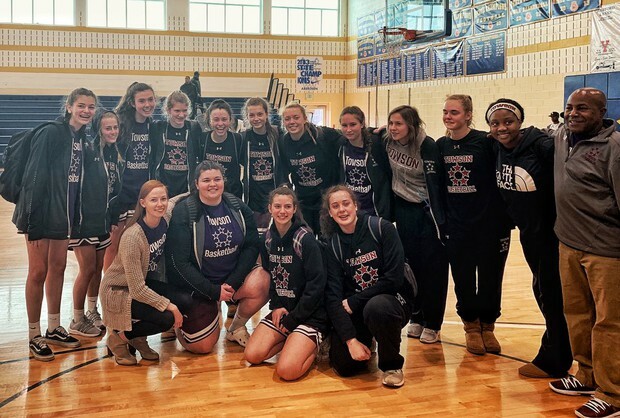 They managed to pick up a few wins despite having several holes in the lineup and several weight classes occupied by first-year wrestlers. 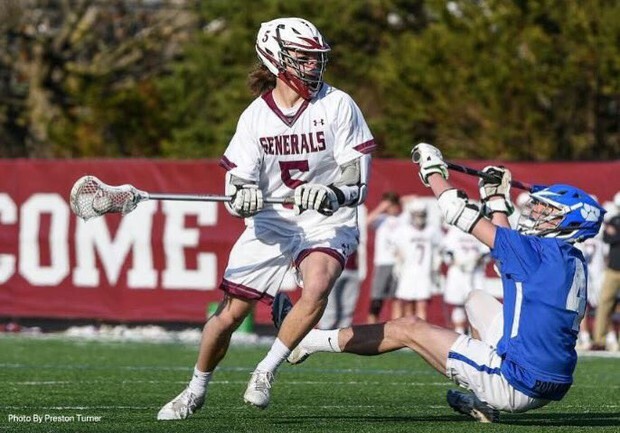 Captains Stuart Morgan and Sam Ganas were leaders on the team. Their strong leadership and commitment showed as their season was extended when they qualified individually for the regional tournament. With over half of the Towson Wrestling team graduating this year, the wrestling team will be looking for some young recruits and rebuilding in the years ahead. The Allied Bowling team had a fantastic year of bowling. 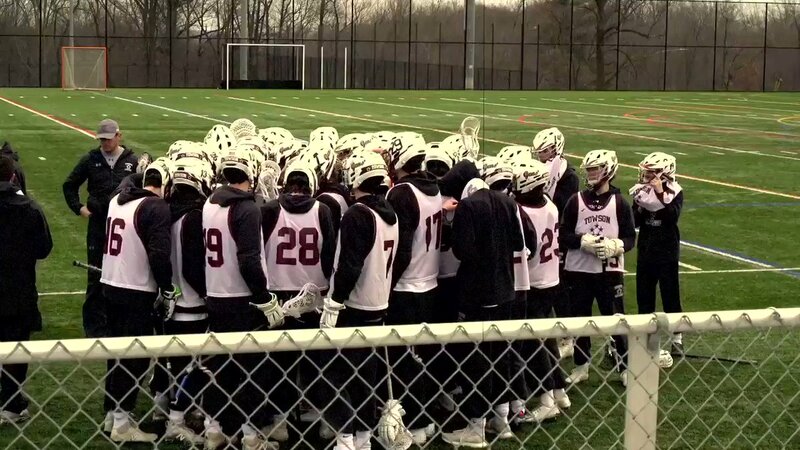 The team continually improved their team and individually averages as the season progressed. The team lost 1 match by only 8 pins, tied a match, and won against Kenwood. At the County Championships, the had a great finish to their season by finishing 6th place! Keturah, Katy, and Aniya provided some “icy-ness” down-low to help our team out score and outrebound most opponents. 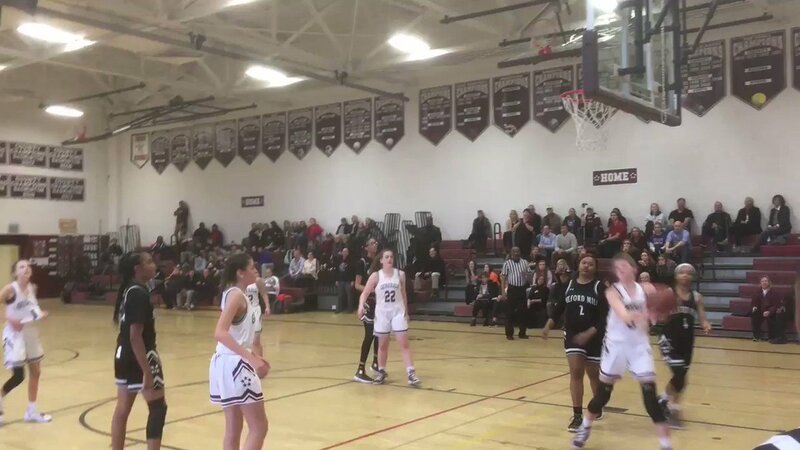 Rory, Miranda, and Maggie provided the team with smooth low-post moves and mid-range jumpers to keep the offensive momentum going. Hannah never saw a shot she didn’t like, and her confidence oozed onto others. Sydney had the “skillz that killz” with the ball, breaking many opponent’s ankles along the way. Isabella’s quick feet made her one of the best 1 on 1 defenders in the county being a pest to any team’s best guard. Chloe had the best hands on the team always finding a way to deflect opponent passes and get clutch steals. Fiona aka FiFi always provided the team with a spark with her positive attitude and effort. Lila showed true toughness in practice and games getting rebounds against just about anybody. Lili’s work ethic, positive attitude, and athleticism helped pushed her teammates to work harder. Maddie was the ultimate team player that showed constant enjoyment being with her teammates. Mark your calendars Student-Athletes! 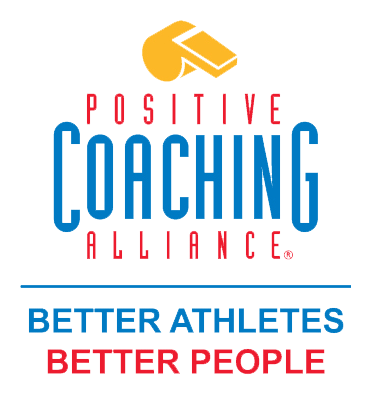 Positive Coaching Alliance will be conducting a workshop for all student-athletes on May 29th from 2:30-3:45 PM in the Auditorium. Get a chance to hear about what it takes to be a Triple-Impact Competitor. Be There!